Trigga Entertainment is an entertainment company that was established in March 2009 by President and CEO, Nelson Martinez. It represents entertainers of all aspects to include singers, disc jockeys, producers, remixers, and anyone affiliated in the music industry. In May 2009, Trigga Entertainment became a Limited Liability Company (LLC) licensed in Las Vegas, Nevada. At the present time we are the Executive Producer for a talented and upcoming recording artist, Yovanni Medel with two other artists to follow within the 2010-2011 timeframe. Our goal is to assist the artist in achieving and fulfilling their dreams, to have their music heard all over the world and to one day have them on stage receiving the ultimate prize, a Grammy award. The history of Trigga Entertainment goes back to 1978 when founder, Nelson Martinez would host weekly house parties as a disc jockey in Brooklyn, New York. His talents quickly escalated when he joined the US Air Force in 1981 meeting with disc jockeys that played in military clubs. He quickly learned from the experts and soon hosted events in Korea, Boston, New Mexico, New York and Miami as another means of income. He DJ’d at clubs, company parties, weddings, fashion shows, and other major events pleasing crowds in the thousands for the next 30 years. The name Trigga was the DJ name given when he use to mix 12 inch records on his Technics 1200s using the Gemini mixer cross faders and triggers to transform music played. He was known for his special talent and was called, “Trigga”. And the rest was history. Trigga Entertainment is also an independent label. We work along with Grammy Award winning producers and engineers at Spin Recording Studios in Queens, NY. We work as a team by the name of, “The Master Mind”, a group of minds working in harmony and perfectly coordinated creating power in abundance in fulfilling our goal, a multi-platinum hit. 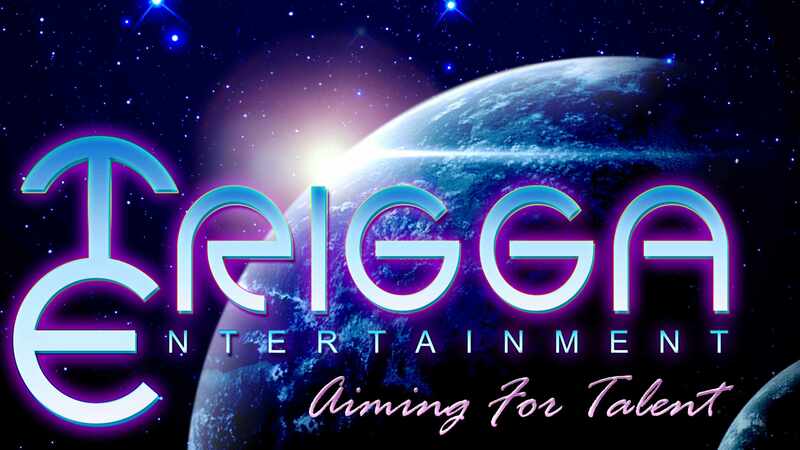 Trigga Entertainment strives to be the best securing our name in the music industry.